What do you see in coffee? I see it as something that can solve everything. What will happen without it? I suddenly remembered one of the scene in The Proposal film starred by Sandra Bullock and Ryan Reynolds where the main character, Andrew raspingly picks up some coffee and before he rushes into the office, you’ll see the view of the long queue line filled with many people just for coffee! It shows that coffee has become a major part of our daily rituals. It feels like dying if we don't have a cup of coffee. With just the smell of coffee alone, could be enough to wake us up in the morning. As in Malaysia, Ipoh, Perak is known for its cool coffee. People even call Ipoh as a coffee town as many coffee shops are originated from Ipoh. Back then we’ve introduced with the new wave of coffee. We know that you get exasperated at how expensive coffee has become. 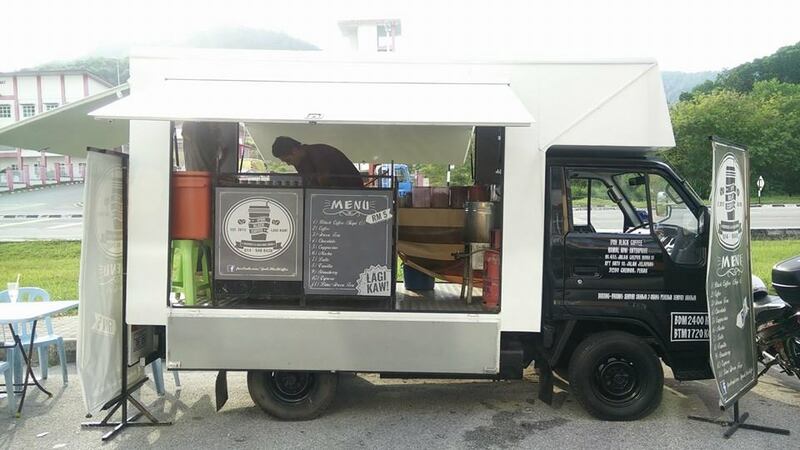 But now, you don't have to go to a fancy coffee shop for good coffee because you got it all in these list of best inexpensive coffee stalls in Ipoh! 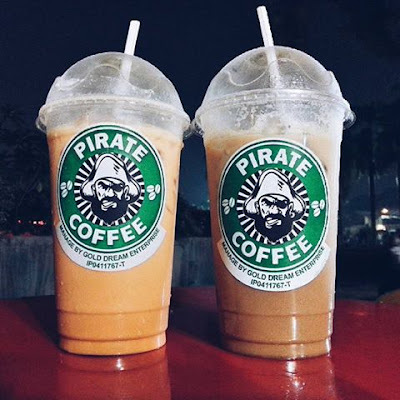 Pirate Coffee – First time I saw the logo, it totally reminded me of Starbucks. (I guess it really pirates [almost] the logo! LOL). Although hipster café is cool enough to catch the attention of the hipster populace but the influence of this small coffee stall, is still able to capture your attention the instant you see it. The truth is, you could probably save even more if you choose Pirate Coffee drinks compared to other fancy ones out there. It costs you only RM5 for a big cup of quality and delicious coffee. By knowing this, we think you don’t need Starbucks anymore. This is how people describe Pirate Coffee is the best coffee ever– thick, rich truest to its flavour. Your taste bud will be immersed with the taste chocolaty and creamy which give the coffee its unique and amazing flavour and yes that's right! People queued for 30 minutes to buy this Pirate Coffee drinks. When you see your coffee is being made, you’ll feel like stealing it and wanting to drink it immediately! The coffee is really yummy! We heard that Coffee King is a favourite of Ipoh community. 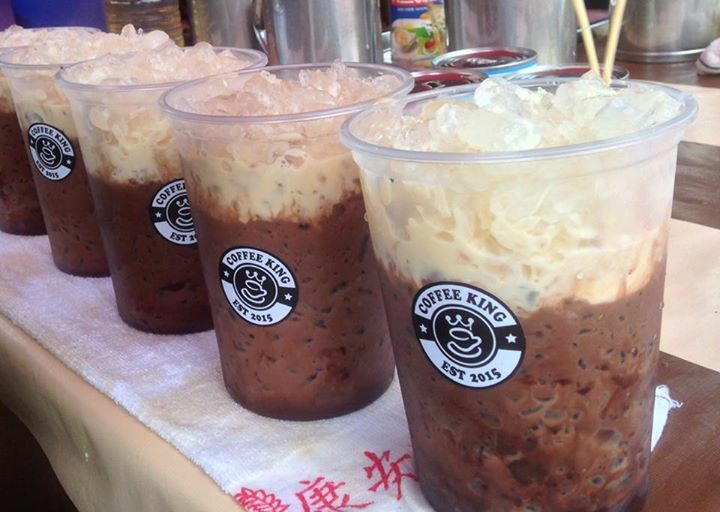 As for coffee connoisseurs in Kuala Lumpur, they absolutely don’t wanna miss out to taste this special coffee too. Even 122 miles of journey, can't keep them to come and taste it. More surprisingly, they’re even willing to wait in line for hours in searing heat! 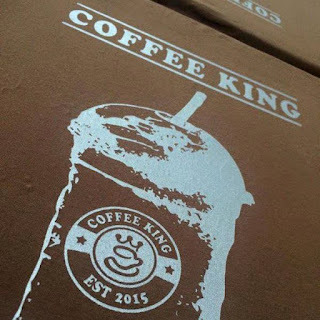 All Coffee King drinks come in big plastic clear cups with flat lids just like other conventional coffee and there's so many flavours for you to choose from namely Iced Coffee, Iced Black Coffee, Iced Cocoa, Iced Tea, Iced Green Tea and Lime Iced Tea too. The appetizing combination of brown sugar and evaporated milk – like sweetness for the flavorful coffee will totally make you drool. Oh you can't describe how good it feels like in your taste bud, especially on this hot season, it’s absolutely haven! Of course, the best thing is all flavours are sold only at RM5! What an honest price! And you’re gonna get the perfect taste of coffee at a most affordable price. We also heard that there’s a handsome barista over there, no wonder it’s famous! LOL. Queues in this busy Coffee King stall may be long but they move fast. Trust me, they won’t make you wait! If you wanna taste the “kaw-kaw”, sweet and soft coffee with cheap price. So, here is the place! 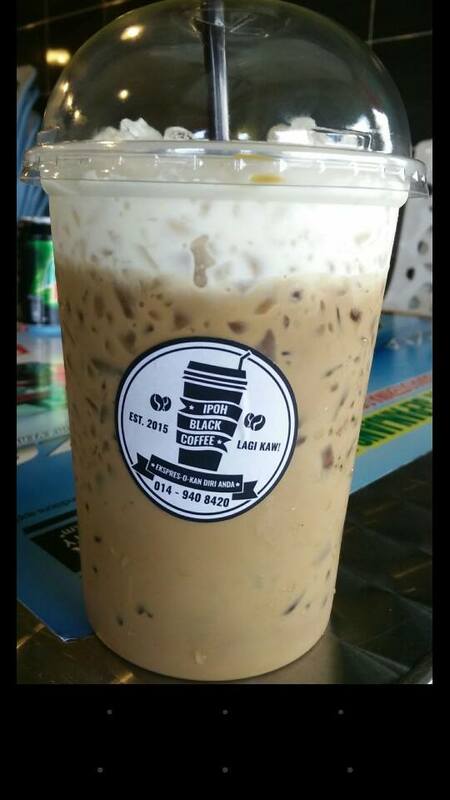 Bandar Meru Raya area is where this Ipoh Black Coffee is located. You’ve absolutely gotta buy this glorious coffee at its amazingly low price from RM 5! Its taste and full-bodied with a satisfying aroma together grasps ones attention towards it while drinking which we bet you’re gonna love it. The delicious taste of their cappuccino makes it perfect as dessert. This drink is so ideal to quench your thirst especially during this El Nino season. It will give you an amazingly enjoyable coffee which able to cheer you up all day long whenever you sip it. With Ipoh Black Coffee, you’re gonna have a tasty and it’s perfect for coffee time. So, if you are into black coffee, you must come here! 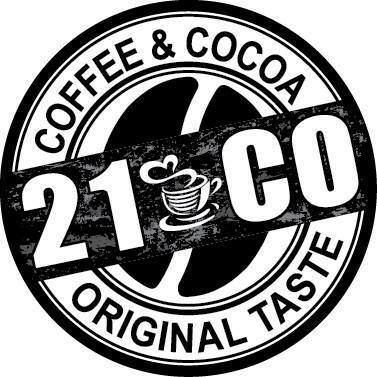 Coffee and Cocoa 21 & Co, Original Taste is a cocoa-based coffee that has the ‘original taste’ of its own, which runs in a coffee kiosk located in Taman Cempaka, Ipoh. Please be sure to get their delicious cup of cappuccino. We bet if there was an Ipoh Black Coffee near your house, you would go every day! Their coffee drinks give a very unique taste and fresh with unexpected flavour combinations like chocolate, caramel, and other delicious flavours which will remain lingering in your mouth for a while. You’re also gonna love that they have good selection with lovely flavour. I can feel that the hipsterness of coffee is killing you. So, tell me what you’re waiting for? 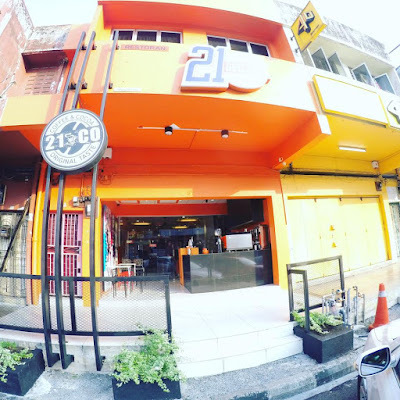 This is the best time to drop off in Perak if you are a coffee fanatic. Feeling energetic to shop after drinking coffee? 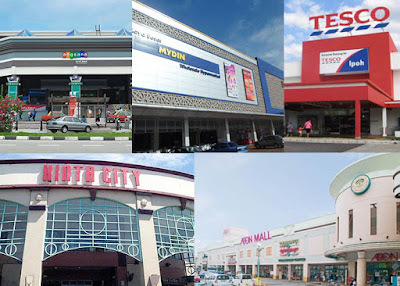 You can immerse yourself with a lavishing shopping experience in Ipoh, like Angsana Mall, Aeon Station 18, Aeon Kinta City, Mydin Mall Meru Raya and Tesco. The malls are totally environment-friendly shopping centres and well-equipped with facilities for those with special needs! P/S: I’m gonna watch The Proposal film back home with a cup of coffee of course!